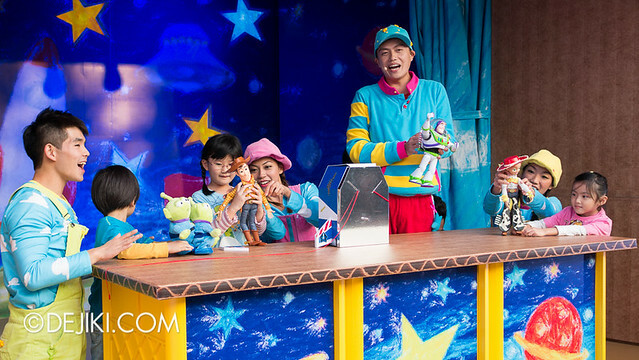 Let’s Tell A Toy Story is a highly interactive “play time” show. 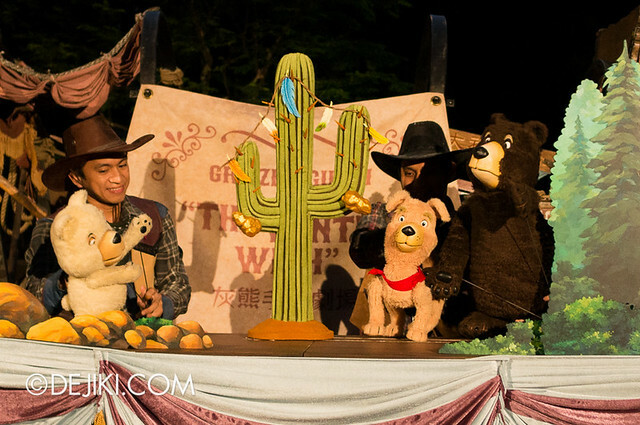 Four lucky children will be invited to be part of the show and they will retell a Toy Story with toys and their imagination! 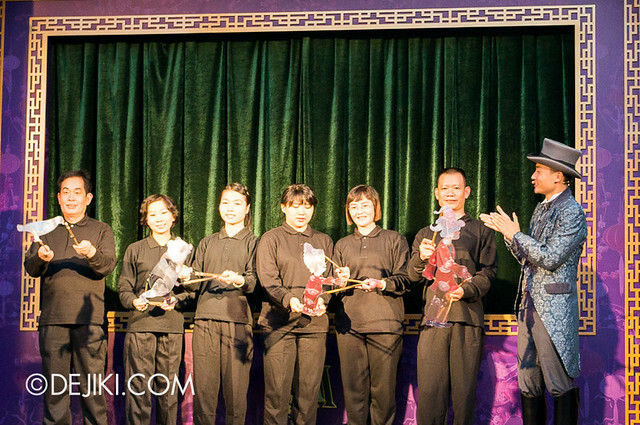 The host would ask the audience which story they would like to hear. 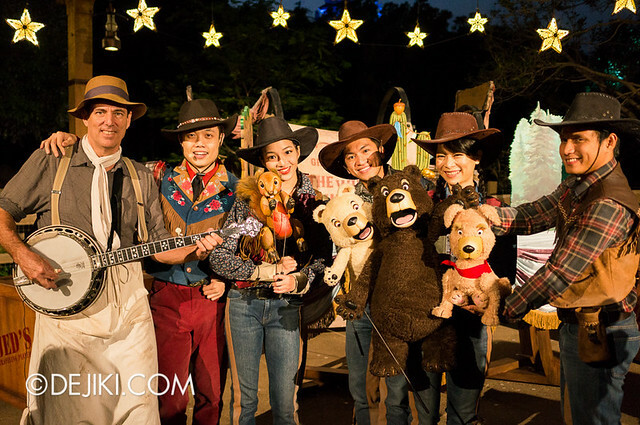 Three choices are available, based on a Toy Story character, such as Woody, Buzz and Jessie. For the Media Day, Buzz Lightyear was unanimously chosen. 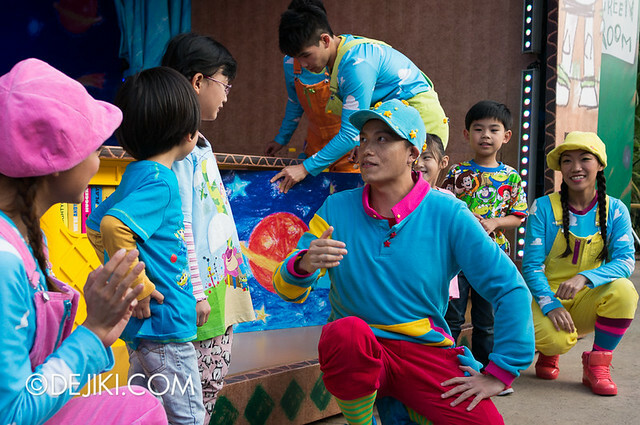 The children will play with the toys and act out the story, so it’s quite an interactive experience. 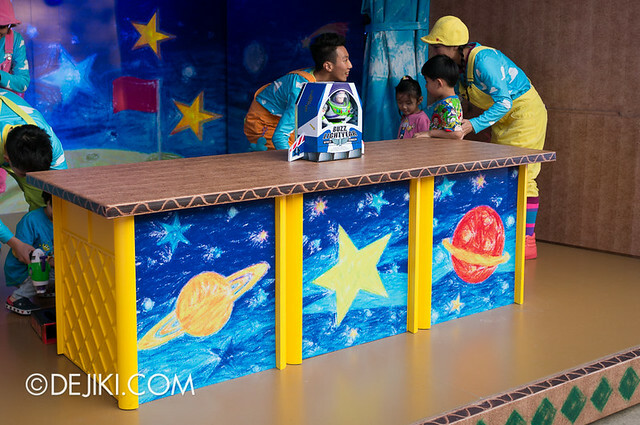 While the host introduces the volunteers to the audience, cast members quickly re-theme for the chosen character – Colourful space backdrops and props for Buzz’s story. 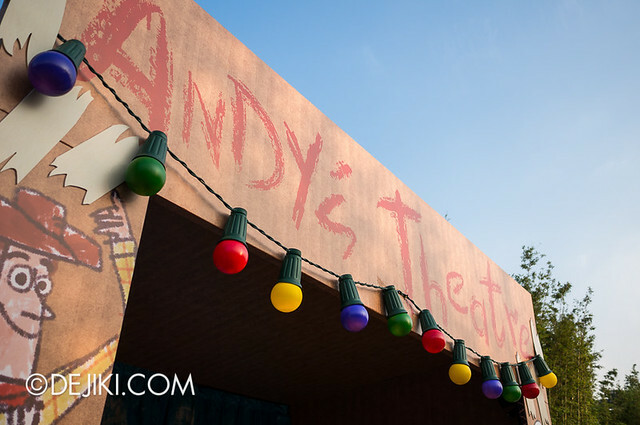 If you remembered how Andy (the boy in Toy Story who owns most of the main “Toy” characters) played with his toys in the first two films, the stories in Let’s Tell A Toy Story will be quite familiar. Rex acts as the villain, just like in the film. 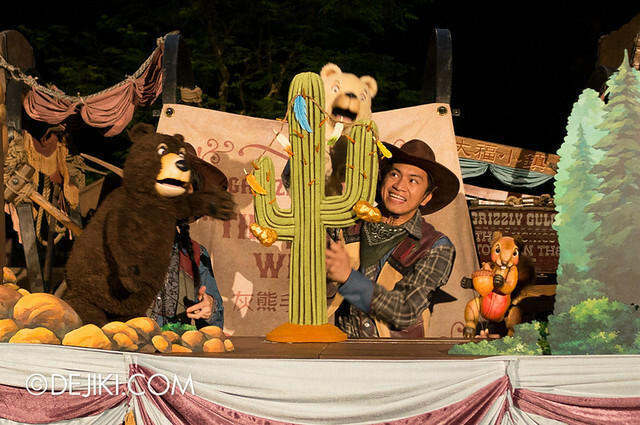 The idea of having the young park guests be part of a performance (and letting it run organically) is quite interesting to watch. 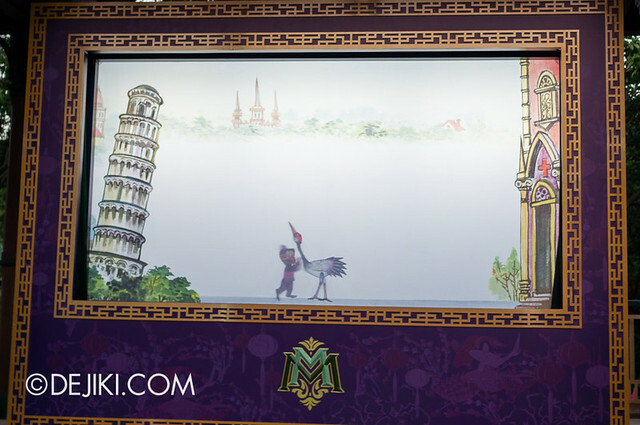 It can probably a great experience for parents too, since there’ll be many memorable photo moments! 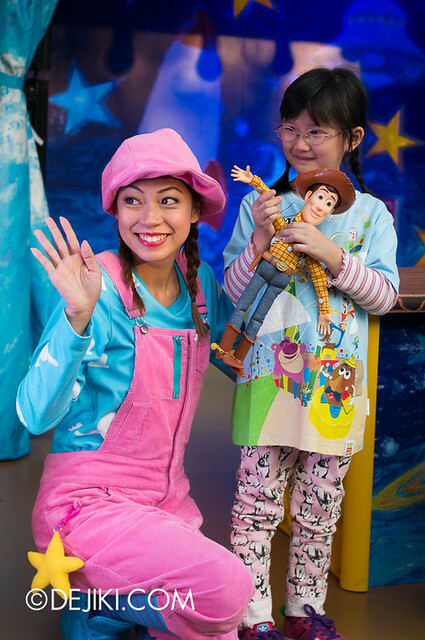 The stage for Let’s Tell A Toy Story is narrow and barely raised, so if you’re thinking of catching this show or have your child take part in it – definitely arrive early for front-row spots. 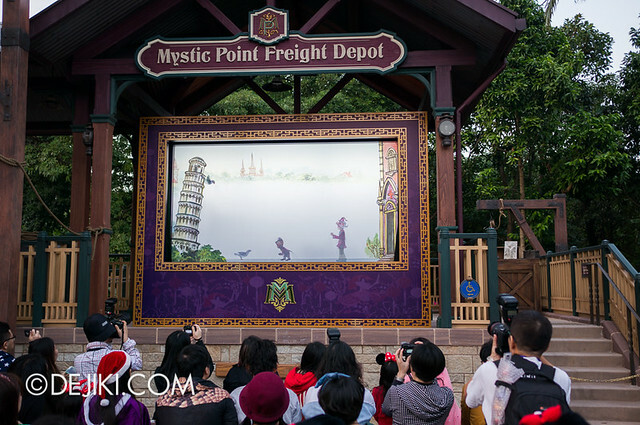 At the Mystic Point Freight Depot (right across Mystic Manor!) Lord Henry’s adventures (or actually, Albert’s) are re-enacted with shadow puppetry. 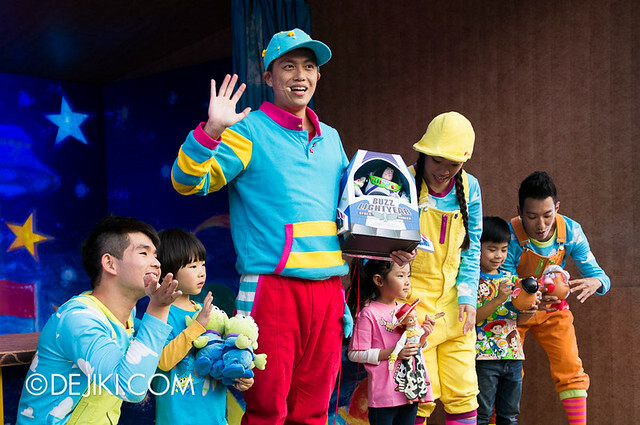 This show has three acts – showing Albert’s misadventures in Europe, Egypt and China. 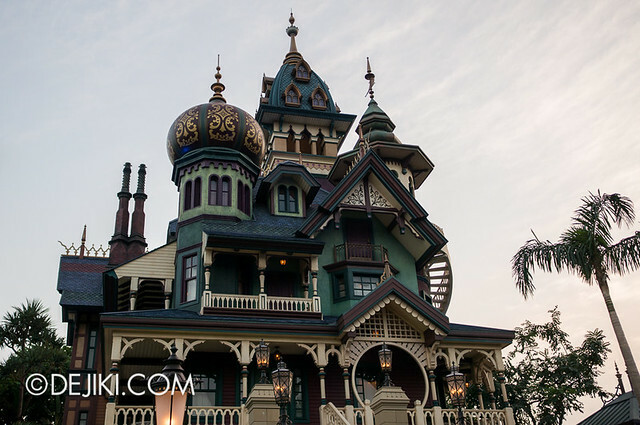 This show expands the lore of Mystic Manor – as it depicts Albert making new friends and his discovery of artifacts for Lord Henry. 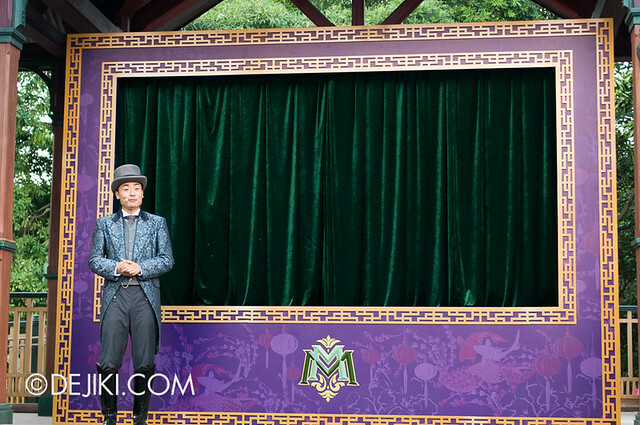 This is also the only Puppet show with a seated viewing area. 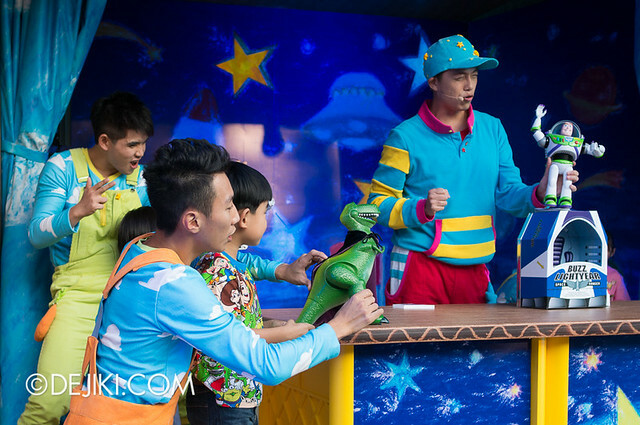 There is no dialogue during the story sequences, although the host would always give a brief outline before each act – only in Cantonese though. 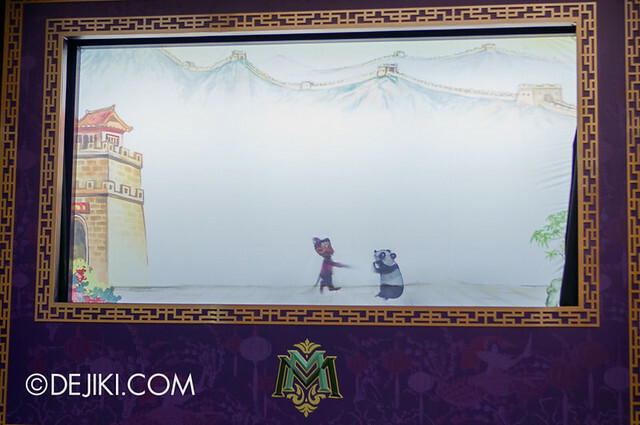 Shadow puppetry is a very.. minimalist performance that requires patience to appreciate and enjoy, so this show might not appeal to all ages. 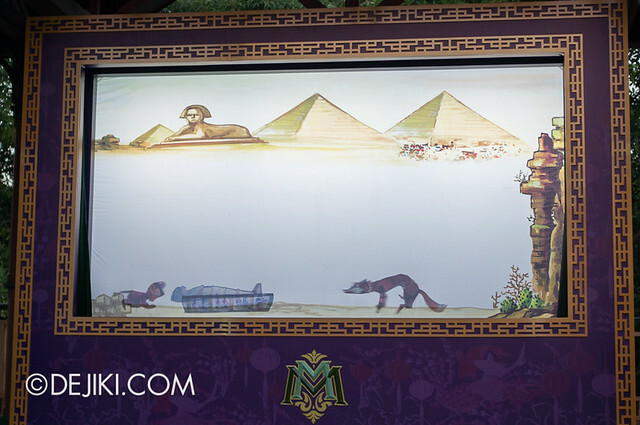 Still, it’s an interesting way to experience the narrative surrounding Mystic Point. 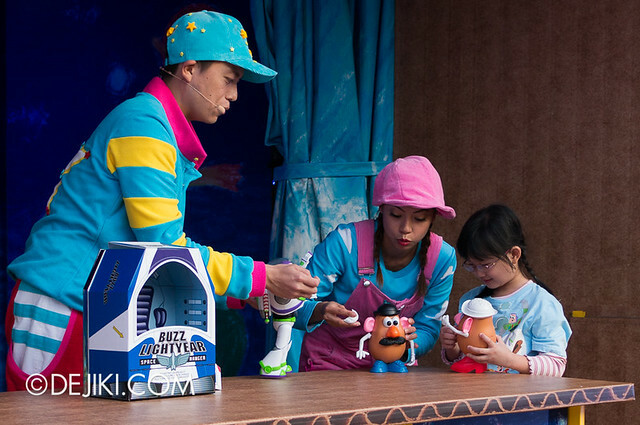 Stick around after the show and you can meet the puppeteers! 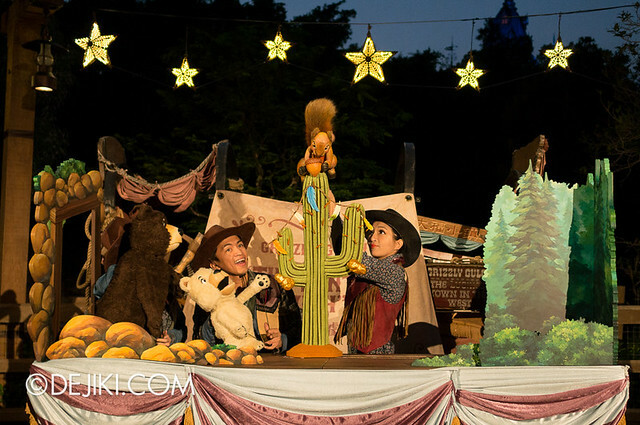 The Winter Wish is about Nugget’s wish for a Christmas Tree in Grizzly Gulch. 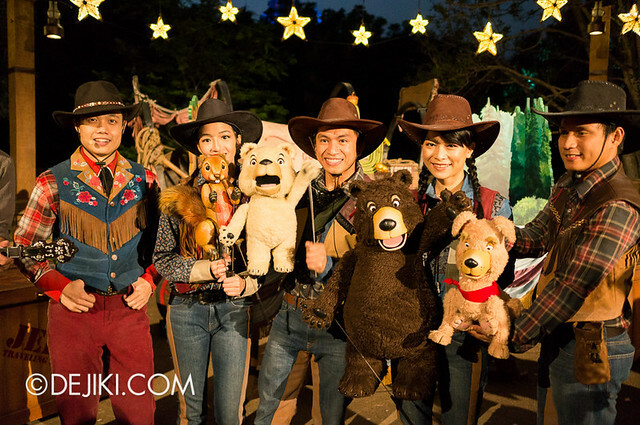 This is probably the cutest show because the performers are playing with actual puppets. 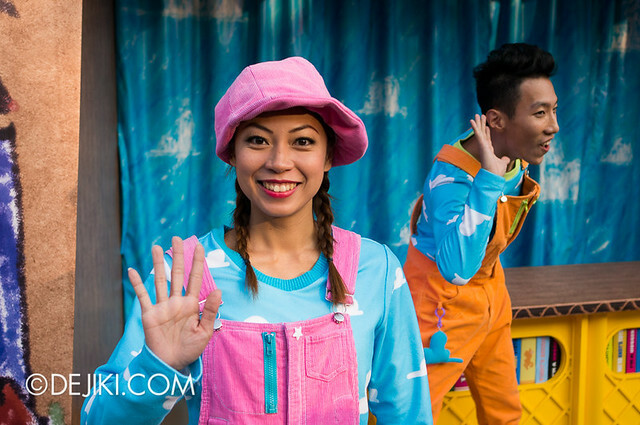 Amazingly, the entire show is narrated and voiced by a single cast member. 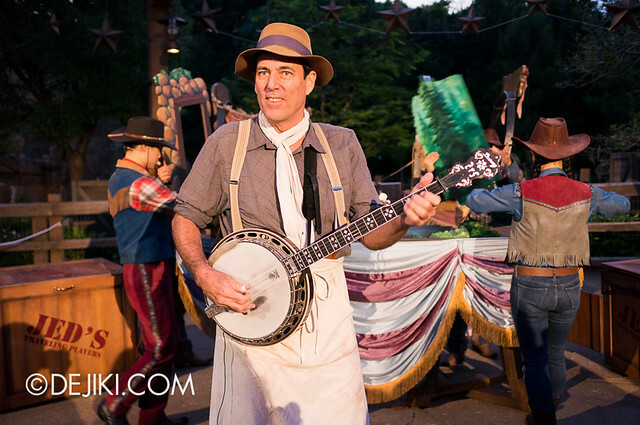 The Winter Wish is performed at the usual spot for the Grizzly Gulch Welcome Wagon Show. 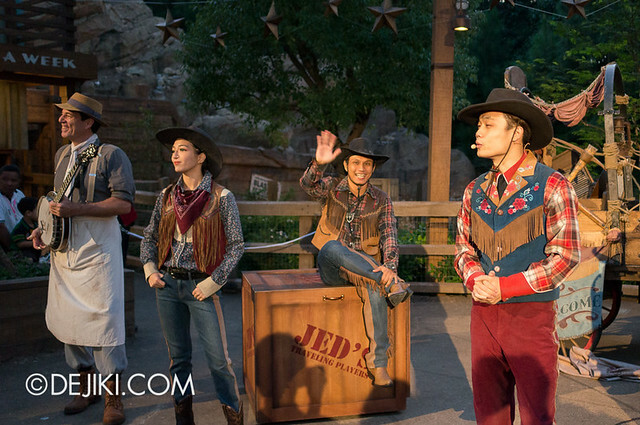 Moments before the show, cast members will roll in the extra crates and props. 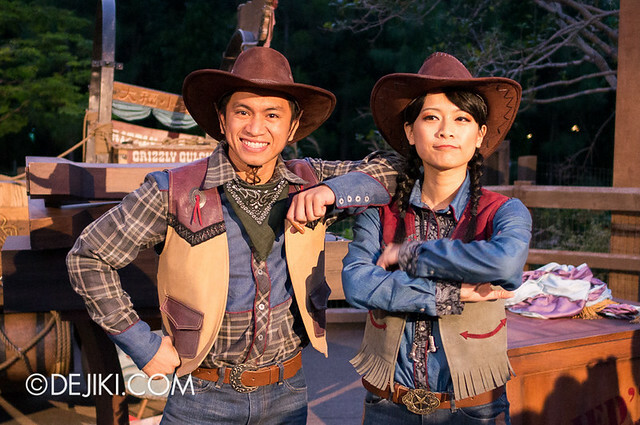 The gang from the Wild West arrives, welcoming guests and introducing their act. 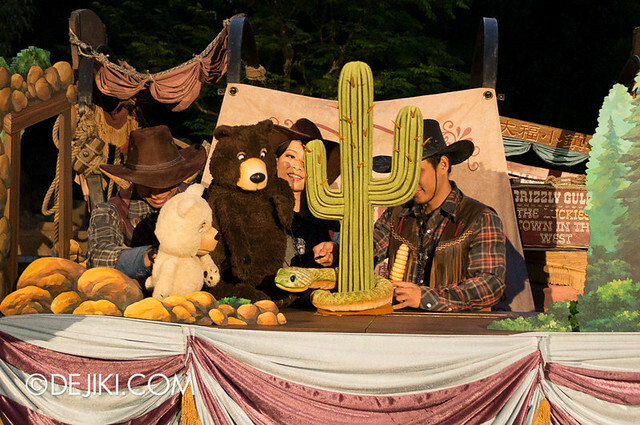 Three notable characters from Grizzly Gulch are part of the story: Rocky (Papa Bear), Nugget (Baby Bear) and Lucky (the dog). Then a blue bird decorates it with a string of feathers. 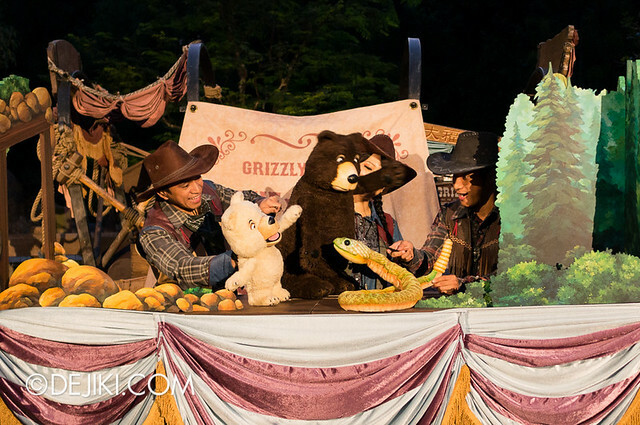 Lucky appears with two gold nuggets. That made Nugget quite happy, but the tree is still missing something. A squirrel places an acorn at the top, completing Nugget’s Winter Wish. 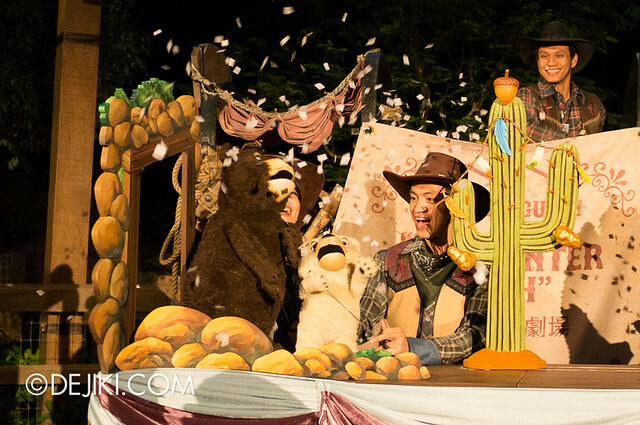 And then it starts to snow at Grizzly Gulch! 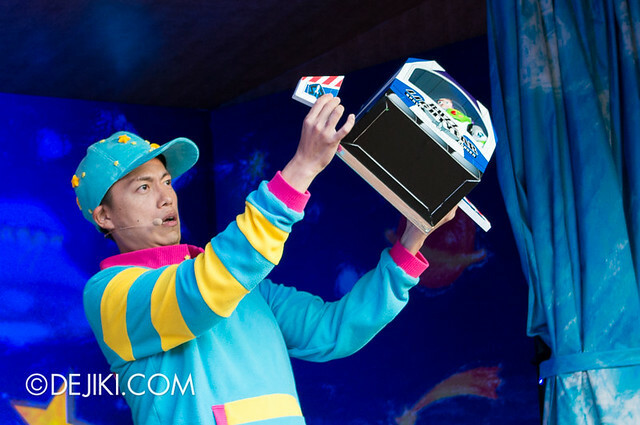 Like the other puppet shows, The Winter Wish is performed in Cantonese. However, don’t let that stop you from catching the show. Even if you don’t understand, the story is easy to pick up and the show is quite enjoyable. The voice acting is already very entertaining on its own. 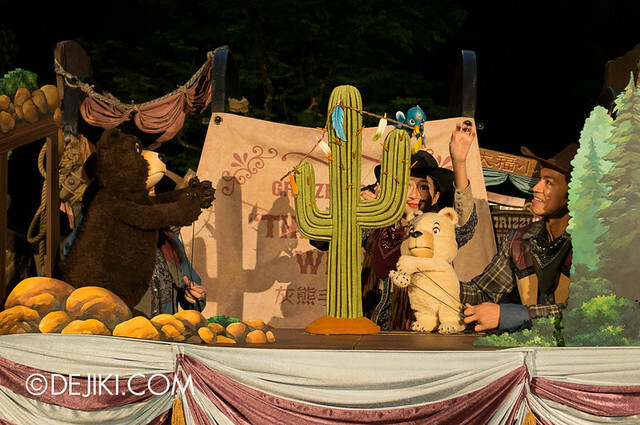 And that concludes the overview for Puppets in the Park. 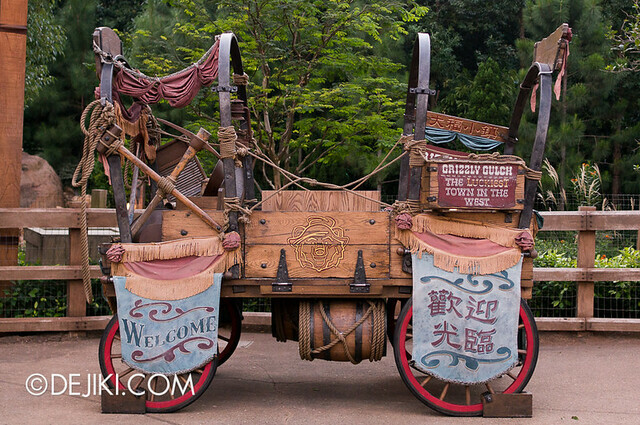 Stay tuned for the next entry in the Sparkling Christmas series, featuring festivities at Main Street, U.S.A!